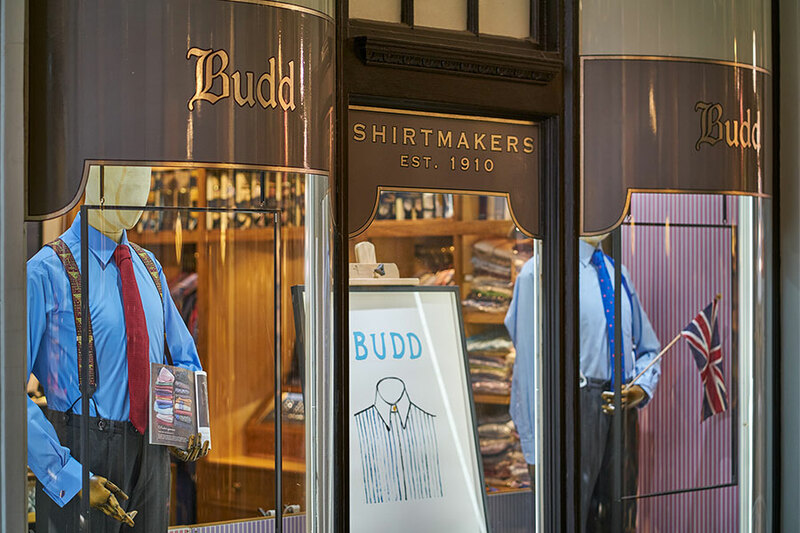 As well as shirts, Budd carries an extensive range of dresswear, nightwear, a fantastic selection of ties and bow ties, braces, socks, and many more accessories. We are passionate in celebrating and supporting British craft and workmanship and all of our products are sourced here in the UK. 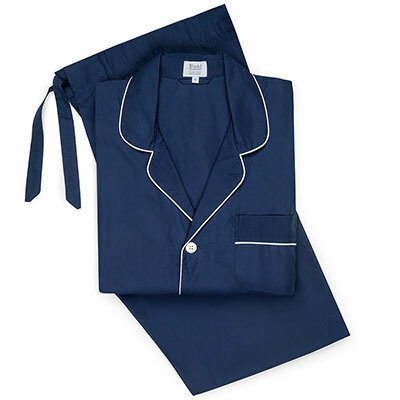 We are particularly proud of stocking many menswear items that are tricky to find today, such as waistcoat slips, stiff bibbed shirts, detachable collars and the softest chamois gloves. Whilst the essentials of Budd’s collections are available to purchase in our online shop, our full collection can be viewed at our Piccadilly store. 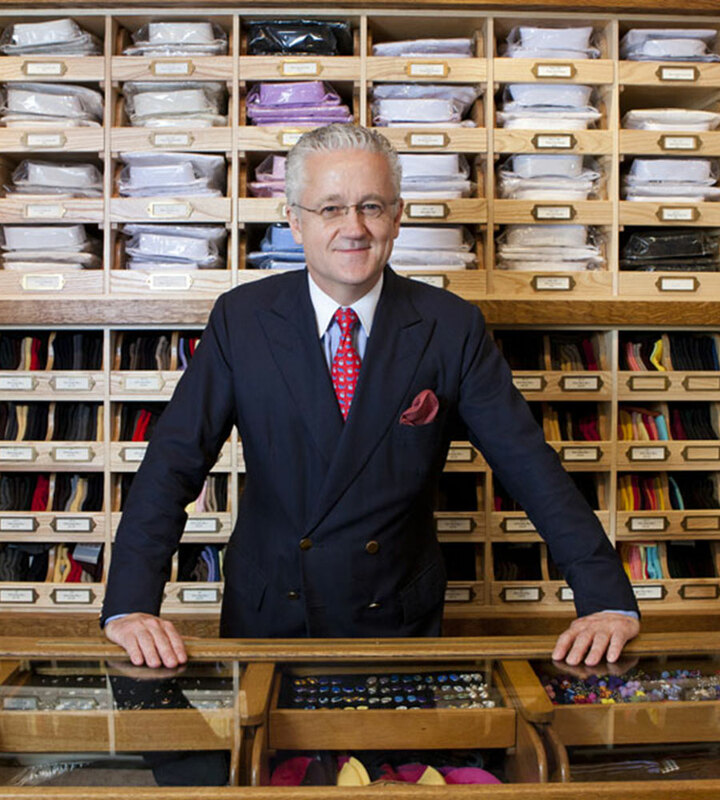 Mr Rowley has managed the front shop at Budd for a very long time indeed and when it comes to formal dress code and accessories, there is little he does not know. A goldmine of sayings when it comes to selling his wares, he regularly brings a smile to customer’s faces with quips such as “Cut for Men, not boys” when referring to our nightshirts and asking whether a pocket square is required “for show or for blow?” Decades of service to the company have given him an expert eye when it comes to everything from Madder silks through to the history of our Budd Stripe and cobalt blue linen. When we recruited Christopher Mundy six years ago, we knew we had found a great addition to the team. 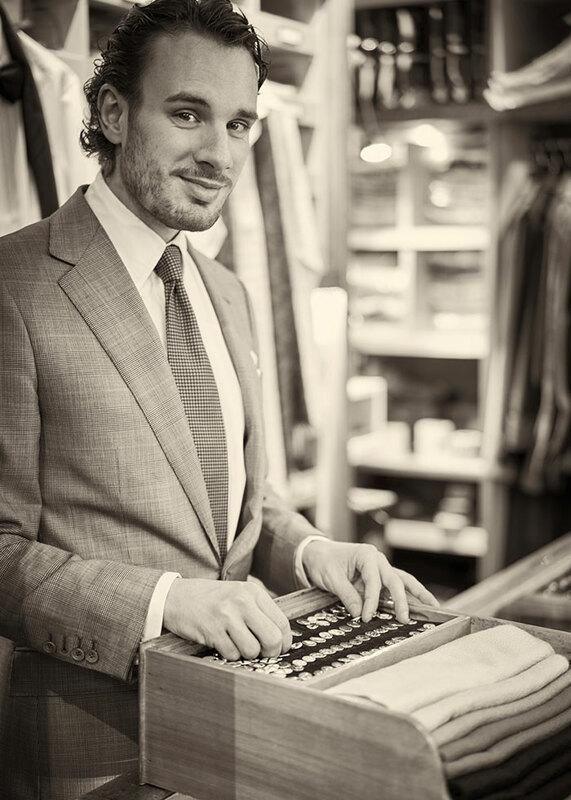 A fanatic for detail combined with an insatiable appetite for the history, tradition and provenance of menswear meant that he was quick to learn the reins of what we do, embracing the quirks of our business and the needs of our customers. A loyal Dr. Who fan, he has enjoyed seeing the success of our special edition products as worn by the Doctor himself. Jacqueline Wakefield joined the Budd team last Spring. When her CV arrived on our doorstep, it was hard to resist her enthusiasm and understanding of all things Budd and her warmth towards the company’s quirks and heritage. Jacqueline has a long standing passion for traditional menswear and trained in Fashion Design at London College of Fashion. 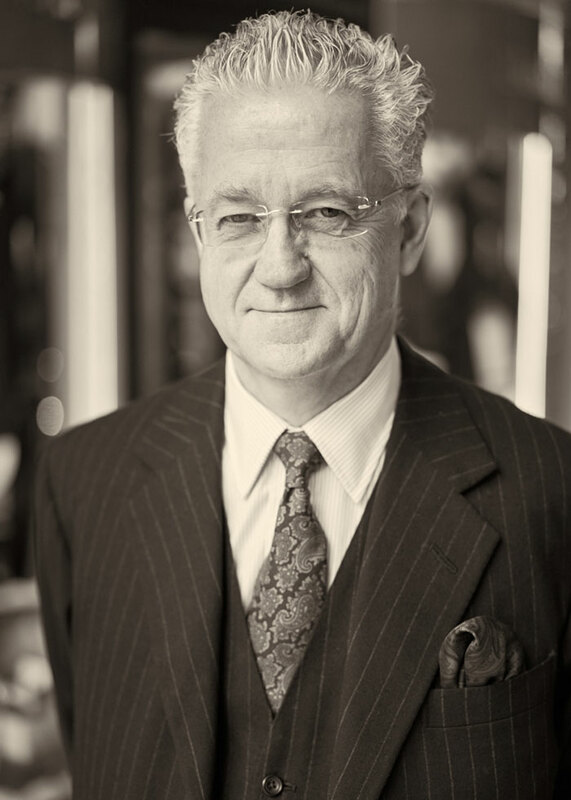 She is a qualified and experienced seamstress and finisher and has worked extensively within the realms of men’s bespoke and ready to wear, the majority of which on Savile Row.